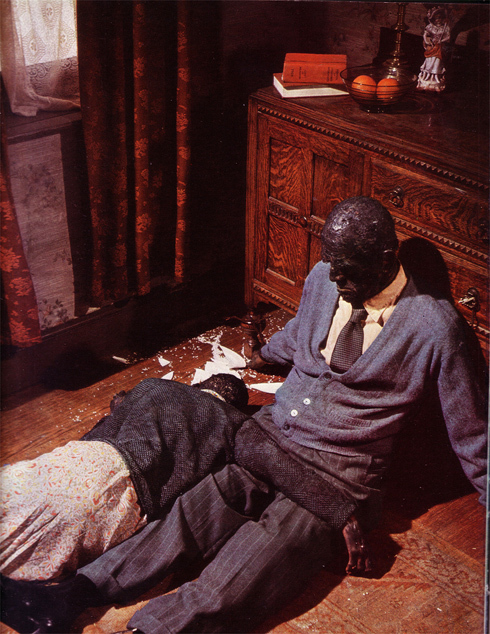 In the more intimate horror movie circles, the name of Michael Reeves is something of a legend; that this tragic, youthful genius succumbed to an overdose of sleeping pills and alcohol aged just 24 does not preclude his unquestionable talent shining through in the three mainstream films he contributed to the genre. 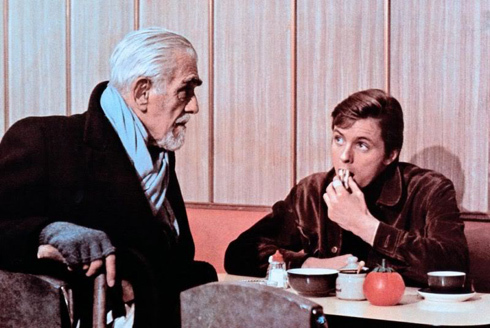 That Witchfinder General (1968) is the most revered of his handful of showpieces is beyond doubt, although it could be argued that in critical terms, The Sorcerers, with its ternion of powerhouse performances from Boris Karloff, Catherine Lacey and Ian Ogilvy, leaves a more lasting impression on the psyche. 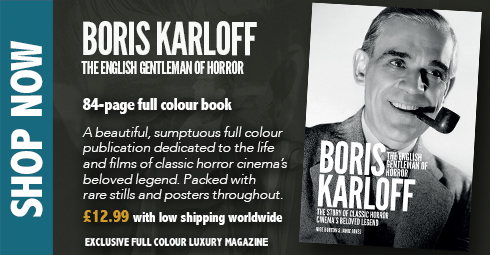 As greed and hedonism pervade Lacey’s ever deeper and darker thoughts, the battle of wills between her and Karloff becomes compelling, never ceasing until the uneasily brutal finale. The ensnaring of young Mike Roscoe (Ogilvy) by disgraced hypnotist Marcus Monserrat and his domineering wife Estelle, in order that they can carry out their will – his for good, hers for ill – makes for innovative and engaging storytelling, and Reeves directs the action with a stripped-back rawness that makes the terror and dread palpable. Compared to Hitchcock in his day, and hailed as the British Spielberg that never was in more recent times, the precocious filmmaker is considered a huge loss to English cinema, and one can only imagine what we might have seen in subsequent years had this remarkable boy wonder been spared. With a script by Reeves and Tom Baker based on an original contentiously uncredited treatment by John Burke, The Sorcerers remains one of those overlooked gems of cinema that is so satisfying to watch. Apart from the main triumvirate, we have edgy contributions from Elizabeth Ercy and Victor Henry, the latter of whom met with a road accident shortly after the completion of the film, and was destined to spend the remaining 17 years of his short life in a vegetative state. 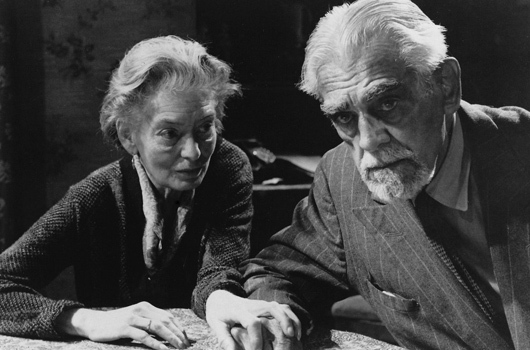 Unhappy with the completely unsympathetic nature of the scripted character, Karloff – mindful of his age and the legacy he would leave – successfully petitioned Reeves for rewrites which provide us with a richer, deeper Professor Monserrat, and this seems to work so much better when pitted against his unconscionable wife. The dramatically tense and fiery denouement of a car chase, also a departure from the original treatment, had to be captured in a single, hurried take; no permission had been sought, and the soon unmanageable blaze quickly attracted the attention of the emergency services. It is precisely this pioneering, risk-taking approach to his movies that make Reeves’ pictures so realistic and enduring, free from the safely sterile world of Hollywood. 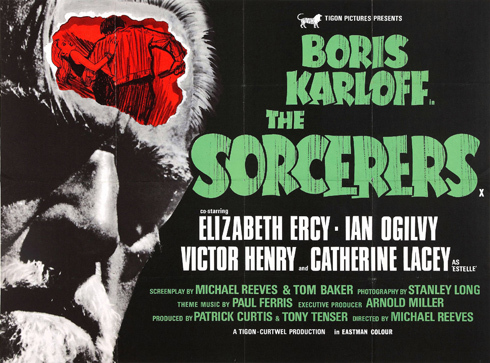 The Sorcerers is a visceral roller-coaster of a film which kicks as hard today as on its initial release in the late 1960s. In the deadly grip of emphysema, Karloff took off to make his handful of notorious Spanish shockers once shooting had wrapped, but it is this together with Peter Bogdanovich’s classic Targets (1968) which provide the most fitting swan-song to this most illustrious of acting careers.